Gozo Channel has informed the National Audit Office it will be introducing a new ticketing system, Auditor General Charles Deguara said. Mr Deguara was replying to a questions about massive discrepancies in the number of passengers and vehicles which cross the channel but never return. According to official statistics, 100,000 more vehicles crossed to Gozo from Ċirkewwa over the past eight years than made the return trip. The figures, revealed by Times of Malta, echo similar findings by the NAO in previous year. In 2016, the NAO found that 13,000 passengers and 600 vehicles had been carried by the Gozo ferries but not recorded in the electronic ticketing system. It was also noted that though 39,000 passengers and 16,500 vehicles were recorded as having crossed the channel, they never made the trip back to Malta. 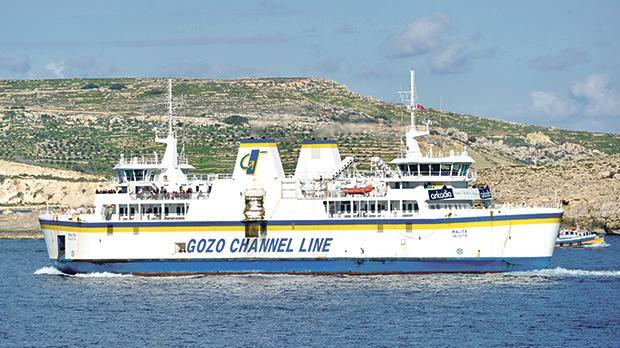 On Monday, the Auditor General told the Times of Malta that his office maintained good contacts with the Gozo Channel Company, and the latest information it had been provided with was that a new ticketing system will be introduced. Asked whether the NAO would be auditing the company more thoroughly, he said that the office will carry a follow-up report within a couple of years and check whether its recommendations have been taken on board. Mr Deguara was also asked whether he was happy with the percentage of his office’s recommendations, which were implemented by the government and whether his office was being sidelined. Last week, the Times of Malta reported that a compendium of follow-up reports into a sample of 12 NAO audits found that just 47 per cent of the auditor-general’s suggestions had been taken on board. These were implemented by the ministries and entities concerned, while another 38 per cent were partly implemented, and 15 per cent showed no developments or little progress. Mr Deguara insisted his role was not being sidelined. “Forty-seven plus 38 per cent is a good statistic to start with. Obviously this is the beginning not the end. We would be happy when we would say that 100 per cent are being implemented, however we know that this is a process,” he said. Mr Deguara added that the NAO did not have an executive function. It carried an audit, or a snapshot of the situation, on the basis of which it issued doable recommendations. “We hope that one day all our recommendations are taken on board. Up until now we have reached nearly 80 per cent, which compares quite well to other countries.